Bet Pacquiao to win by any method at -305 with 888Sport. Bet Pacquiao to win by KO, TKO or DQ at +260 with Karamba. 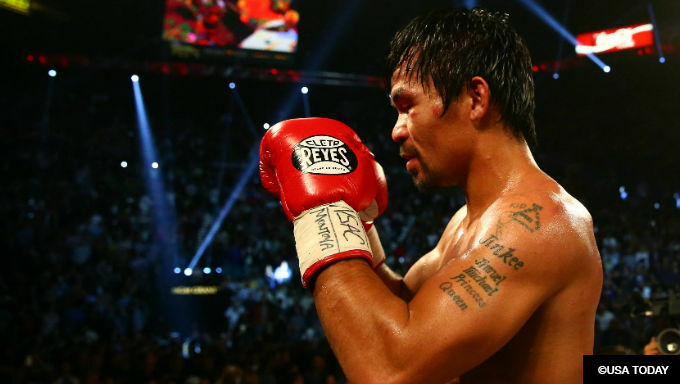 Manny Pacquiao hasn’t been what he once was for what seems like ages now. But even at age 40, Pacquiao remains one of the best welterweight boxers on the planet. Pacquiao faces Adrien Broner, 29, on Saturday, Jan. 19, at the MGM Grand in Las Vegas. The bout will be televised live on Showtime pay-per-view. Despite being 11 years older than his opponent, Pacquiao is the oddsmakers’ choice to win the fight. According to top boxing bookmakers, including 888Sport and Karamba, Pacquiao is a -305 favorite while Broner is a +240 underdog. At first glance, Pacquiao (60-7-2, 39 KOs) looks like the favorite in a fight boxing betting fans might want to avoid backing, if they are using typical boxing betting strategy. Normally, when a 40-year-old faces a 29-year-old and both fighters have won world titles in multiple weight classes, you would want to avoid backing the 40-year-old like the plague. It’s typical for younger boxers to face older champions who fight under the same promotional banner to enhance their resumes and garner promotable wins over name opponents. That’s just how boxing works. But nothing has been normal about the career of Pacquiao. Fighters don’t hit as hard as he does while moving so fast, and they certainly don’t win world championships in eight different weight classes. Even at 40, Pacquiao is still a backable favorite so long as he’s not giving up too much size. While he certainly isn’t the same specimen he was back during his prime years, he’s still one of the very best to lace up the gloves and he should be able to defeat Broner. Broner (33-3-1, 24 KOs) is a very good fighter who relies mostly on his athleticism and counterpunching ability. Those two things go hand-in-hand, and he augments the two traits with a legitimately solid chin and never-say-die attitude. That makes for a fun fighter who gets into good brawls and mostly comes out the winner. But Broner struggles when he faces a certain class of fighter. If his opponent is not elite, his athleticism prevails and Broner wins. 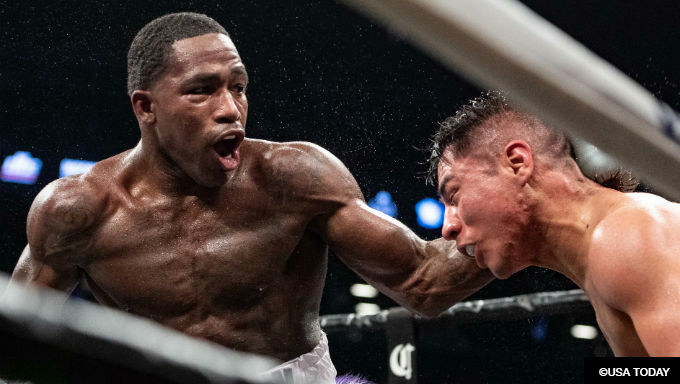 If his opponent is elite, such as Mikey Garcia, or borderline-elite, such as Shawn Porter or Marcos Maidana, Broner finds a way to lose. Broner’s biggest problem against Pacquiao will be that he doesn’t match up all that well against Pacquiao’s rare combination of speed and power. Broner is almost always the better pure athlete than his opponent on fight night, but that won’t be the case versus Pacquiao. Pacquiao is faster, hits harder and on top of that possess the better overall skill set, too. Simply put, there’s no version of Broner who would ever be favored over any version of Pacquiao. Unless Pacquiao has diminished greatly since knocking out Lucas Matthysse last year, Pacquiao should have his way with the enigmatic Broner. The fight can only play out a few different ways, and how Broner responds to getting tagged with Pacquiao’s amazingly precise left hand will probably determine the outcome of the fight. Backing Pacquiao to win by any method at -305 with 888Sport is the safest play. Broner’s sole chance at winning the fight is through landing a hard counterpunch when Pacquiao attacks. But Broner isn’t really set up to land such a punch unless he’s standing still long enough to do it, and if he does that there’s a good chance he’ll find himself flat on his back. Broner has never been knocked out. Even in fights that were tough and seemingly hopeless, he’s never quit on his stool or otherwise stopped trying to win the fight. Some bettors might feel that’s a good enough reason to back Pacquiao by decision at -106, and that makes some sense. After all, Pacquiao has only knocked out one fighter over the last decade, albeit it was in his last fight. But depending on your affinity for risk, you might consider Pacquiao by KO, TKO or DQ at +260 with Karamba. Broner will never have been in a fight where he will be hit as fast or as hard by someone so early in a fight. It happens with every single Pacquiao opponent. Pacquiao will be bouncing up and down in his southpaw stance from a distance far enough from his opponent that the opponent feels safe. Before he knows it, though, Pacquiao is on top of him with a devastatingly strong straight left hand and other followup punches coming in from all angles. Better fighters than Broner have been overwhelmed by it, and it’s flustered them to the point of making huge mistakes. Since Broner is a tough fighter who gets dragged into brawls against lesser men, it makes at least some sense that he might choose to do the same against Pacquiao. If that happens, Pacquiao will likely knock him out.